If you are tired of having lots of debt and large monthly payments, the time has come to consider debt consolidation. Personal Money Service is ready to offer you unique solutions for your financial troubles and provide you with an opportunity to approach a debt-free future through debt consolidation loans offered by our cooperating partners. Just compare debt consolidation companies online! Multiple debts, not tied to any asset, credit card loans among them, can be consolidated into one single loan, with a single monthly payment and lower interest rate in many cases. If you have a house, a car, some property or a saving account, borrow using them as collateral. Most likely you will benefit from the lower interest rates than the one you have to pay. Multiple private student loans can be consolidated in a single one. Consider a joint consolidation with your spouse; combine multiple private student loans of your children. Don't waste your time. 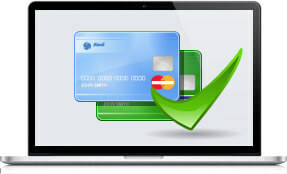 Consolidate the debt online. Debt consolidation means the use of various debt assistance plans, which combine multiple loans, debts, or payments. For example, you can easily consolidate your credit card debt with our help. In other words, debt consolidation is the online process where you apply for a new loan that helps you paying off your existing debts. So choose the best debt consolidation loans online! Before you fill in the application form and push the final button, carefully consider everything. Find out more about your monthly payments, loan terms, and interest rates. Everything is interrelated here and changes to one factor will mean changes to the others. When you consolidate debt with online loans, you need to be 100% sure. Personal Money Service is ready to assist. Conduct careful research. Different financial institutions offer various repayment terms and loan interest rates. Determine the realistic amount you are ready to pay monthly on a new consolidated loan. Concentrate on the existing debt; do not get involved in some new credit opportunities. The right debt consolidation plan will not only help you combine most, if not all of your multiple obligations, but will also make you more organized and focused in dealing with your monthly financial obligations. Besides this, you should have an understanding of the debt consolidation procedures. After your multiple debt consolidations, you will have a single payment to make monthly, but it will not necessarily cause lower costs or a shorter term. Check all the benefits and drawbacks of the plan and decide whether the option is right for you personally. Apply now to check the possible options.